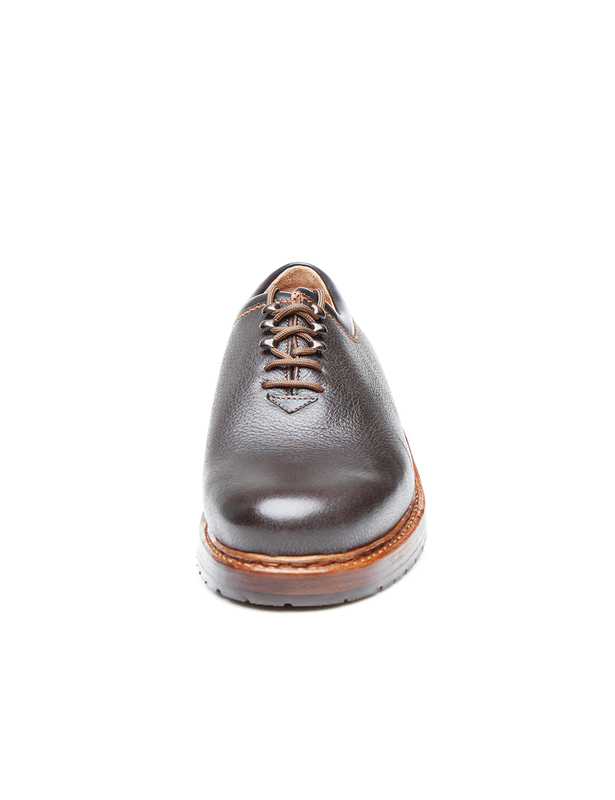 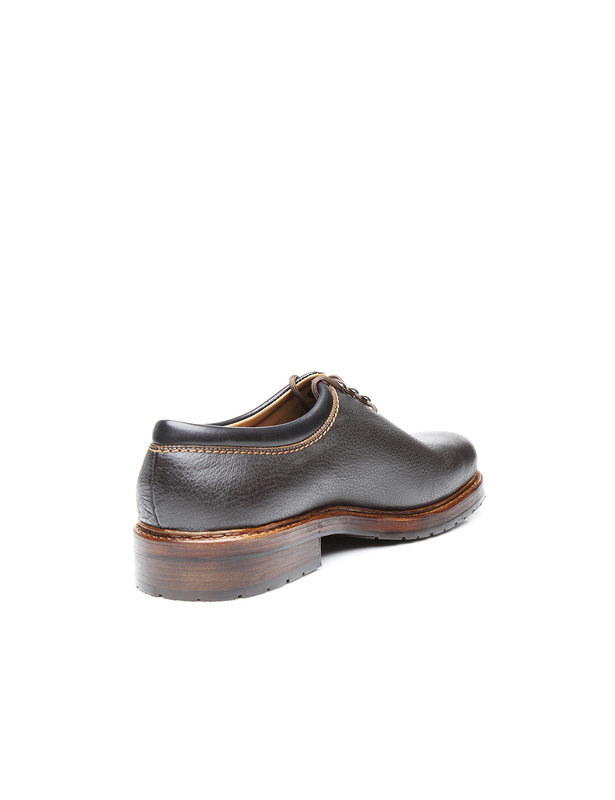 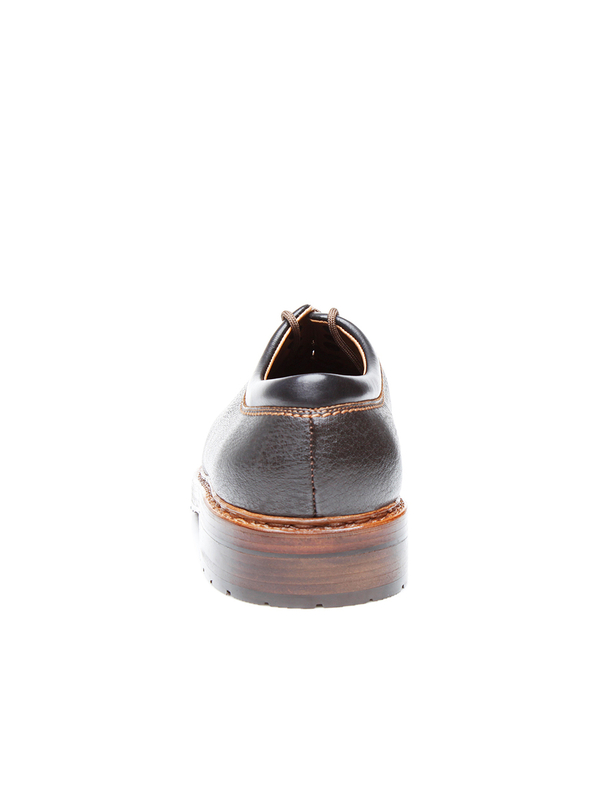 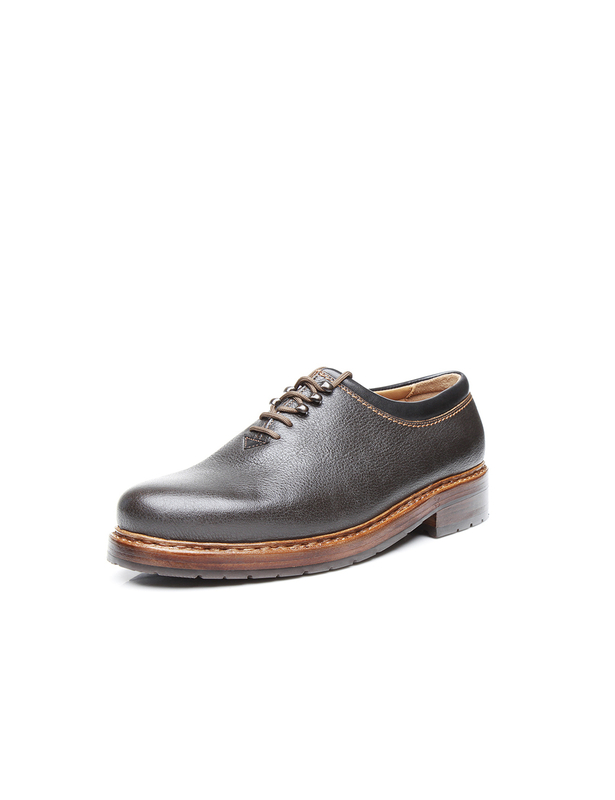 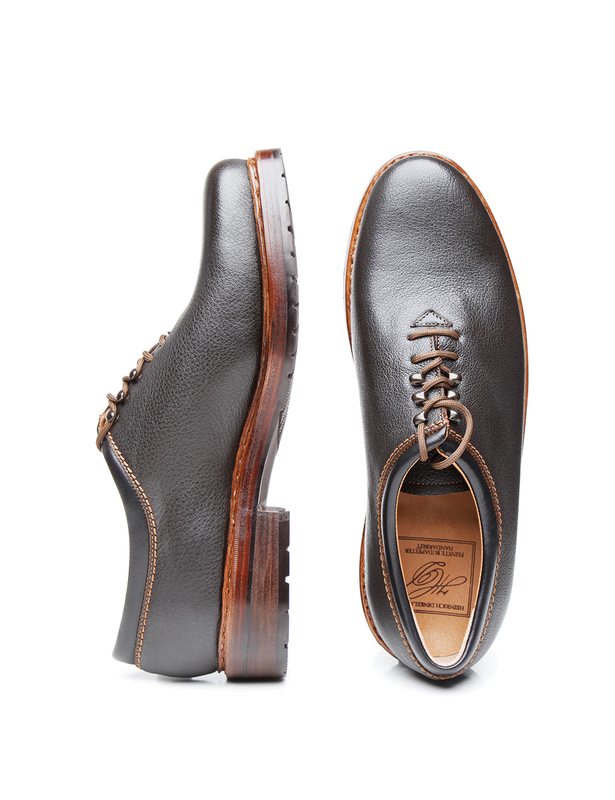 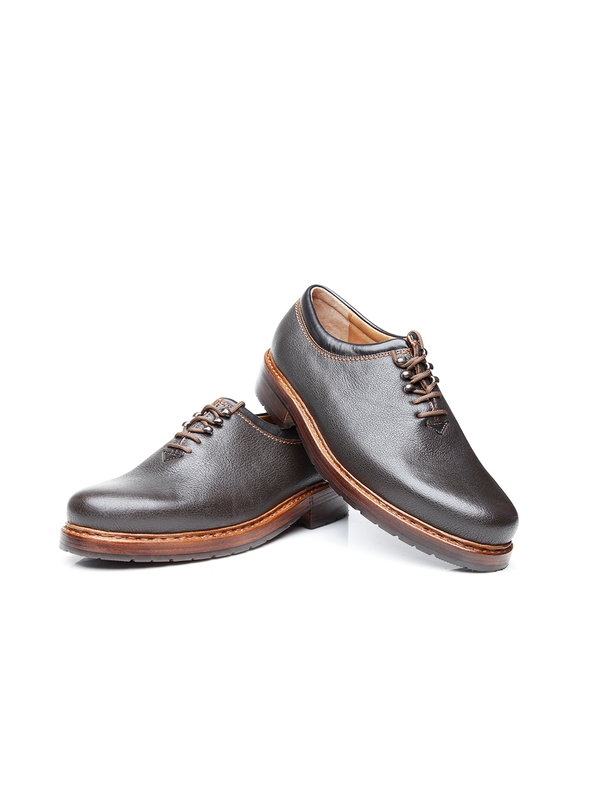 One-Cut Made from a single piece of leather, all that accentuates a hand-stitched wholecut shoe is a carefully stitched seam at the heel. 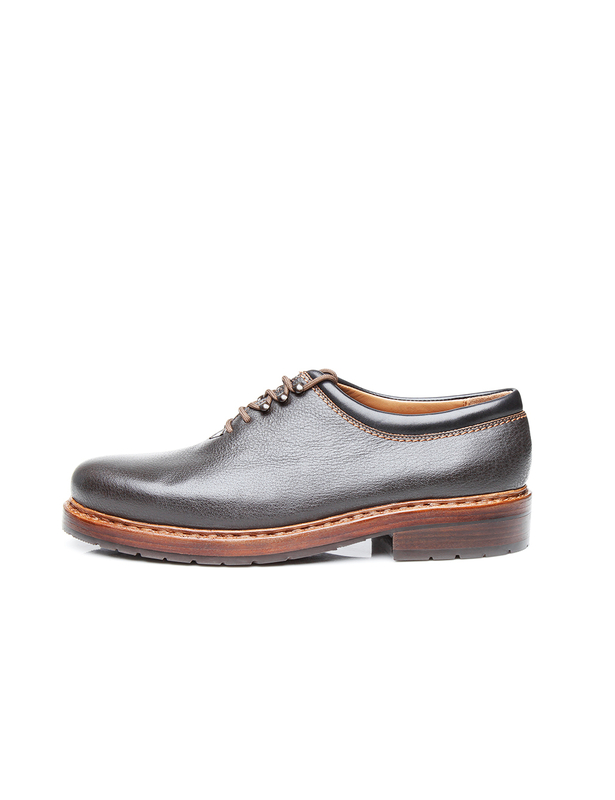 The double stitched wholecut consists of soft, durable and extremely supple water buffalo leather. 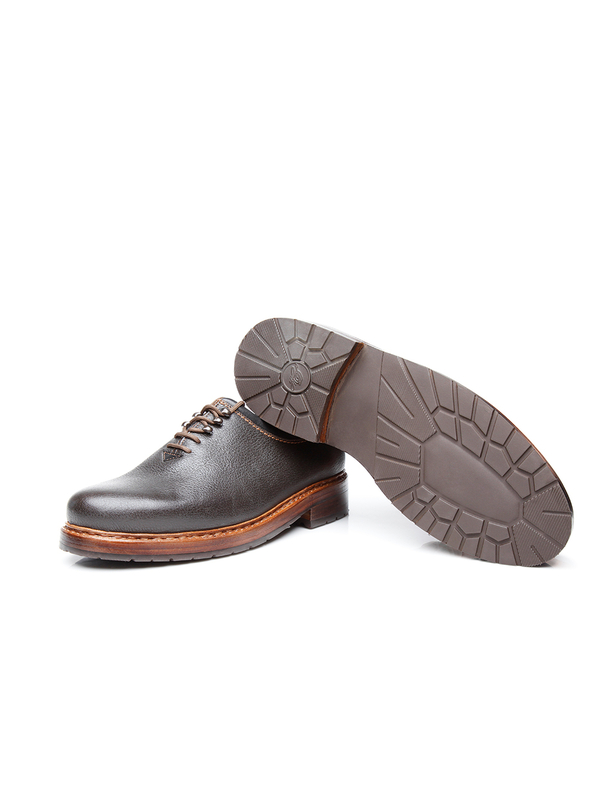 Over time, the exquisite upper develops an alluring patina. 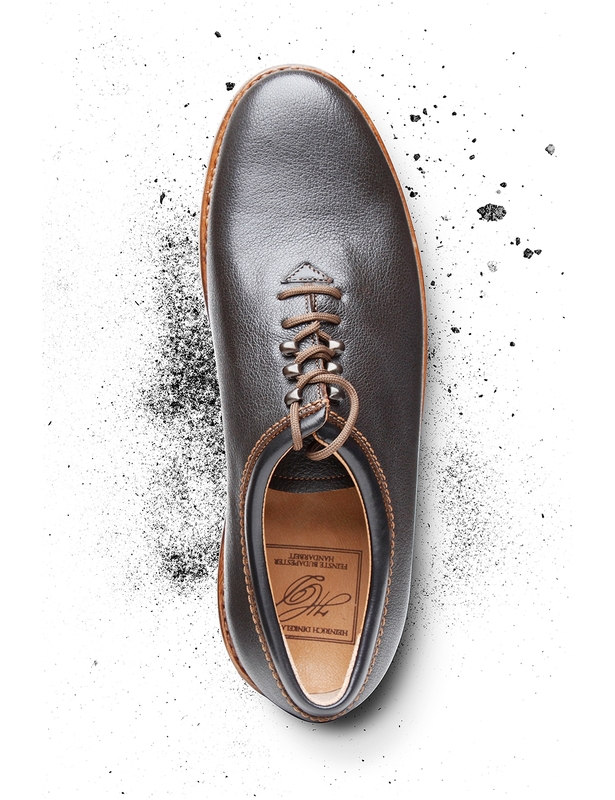 The closed lacing boasts a modern arrangement of two eyelets and three hook pairs – a real rarity among the classic lace-up shoes. 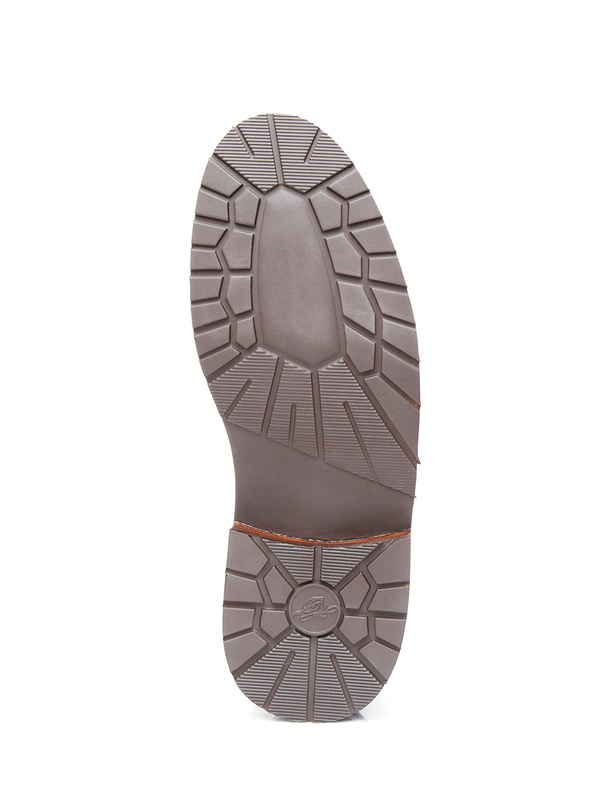 The classic Rio last and the abrasion-resistant triple outsole with an additional rubber lug profile guarantee exceptional wearing comfort. 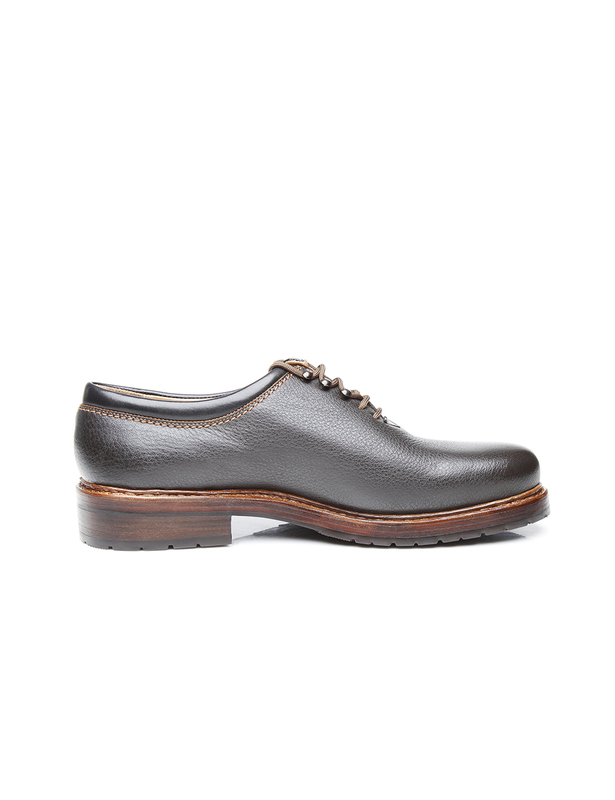 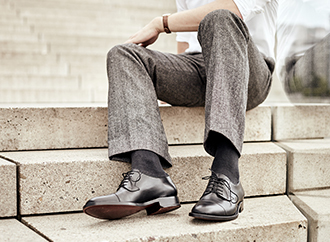 Made by hand in a factory in Budapest by experienced master shoemakers, the black-brown Wholecut exudes a sporty charm in this modern interpretation.